Islamic supremacy, sadly, is written into Pakistan’s constitution. Over the past week, a student in Bahawalpur killed his teacher over blasphemy and two Hindu minor girls from Ghotki were kidnapped and forcibly converted to Islam before being married off. Blasphemy linked vigilante violence and forced conversion of Hindu girls not only prevail in Pakistan, but the perpetrators of these two atrocities usually enjoy complete immunity. That’s because these acts of persecution and violence are rooted in an idea that the state has failed to curtail, but instead propagated: Islamist supremacy. According to a Human Rights Commission of Pakistan report, over 1,000 non-Muslim girls are forcibly converted to Islam every year. Meanwhile, over 4,000 blasphemy cases have been registered since 1986, with at least 75 people being extrajudicially killed over accusations of insulting Islam since 1986 – the year Sections 295-B and 295-C were added to the Pakistan Penal Code, which sanctioned the death penalty for blasphemy. Both blasphemy lynching and forced conversion are rooted in the Islamist clauses etched in the Pakistani Constitution. These range from the preamble naming the country an “Islamic” republic and granting sovereignty to Islamic scriptures to upholding violent penalties for breaching Islamic injunctions. Supremacism of any form can eventually evolve into a rallying call for violence against “the others,” with this month’s Christchurch terror attack being a gory manifestation of white supremacist militancy. Similarly, violence often is a corollary of religious supremacism, as exhibited by the Hindutva surge in India and the radical Buddhists in Myanmar. These aforementioned forms of ideological violence flourish despite the lack of legal sanction provided to them. That’s where Islamist legislation in Pakistan, and a few other Muslim countries, further adds to the vicious inertia by violently penalizing any Sharia violations. Little wonder that the student who killed his professor for “speaking against Islam” expressed no remorse. The murderer’s interpretation of blasphemy in this case was the professor organizing a party with intermingling of male and female students. When outraging “religious feelings” of only Muslims carries the death penalty, not only does it intrinsically subjugate other religions, but the intangibility and unquantifiability of the crime leaves it open to Islamist vigilantes. Furthermore, in Pakistan’s case – unlike Saudi Arabia and Iran for instance – the fact that the state hasn’t judicially executed anyone for blasphemy further encourages mobs and vigilantes to take matters in their own hands. That is precisely what the Bahawalpur murderer said: He accused the state of “freeing the blasphemers,” referring to the acquittal of Christian woman Asia Bibi last year. The blasphemy law acts as a menacing deterrent in forced conversion cases as well, given that objections to “embracing Islam” can be similarly deemed sacrilegious. Furthermore, even though most of the forced conversions are child marriage cases, the state’s reluctance to act is also rooted in the fact that 16 years remains the marriageable age for girls in many parts of the country. Not only do Islamist groups become the biggest hindrance in legislation against child marriages and the upholding of women’s rights, attempts to ban minors’ religious conversion have similarly been shot down as “blasphemous.” Of course, any conversions in the country are one-way, for Pakistan is one of 13 Muslim states where leaving Islam, or apostasy, is punishable by death. The Islamist groups regularly cite the Sharia clauses in the Pakistani Constitution to shoot down any legislation that contradicts the narrowest interpretation of Islam. Similarly, the ideological roots of forced conversions – most of which involve Hindu girls – can be traced to Islamic supremacism, branches of which self-manifest in the anti-Hindu bigotry etched in Pakistani curricula and mainstream narrative with the much-needed educational reforms yet to be carried out by the state. Furthermore, given that most of these cases take place Sindh, the only Pakistani province that has established 18 as the marriageable age, even the limited action that is taken to counter the forced conversion and marriages is taken in light of Sindh Child Marriage Restraint Act. That allows the state to shelve these cases as child marriages alone, ridding itself of any responsibility toward protecting the forced conversions of religious minorities. Earlier this month the government took the historic decision of sacking a minister for exhibiting anti-Hindu bigotry. Arrests have also been made in the Ghotki sisters’ case, further hinting at the state’s intent to right its wrongs from the past. Even so, any long-lasting change would need reforms in Pakistan’s Islamist laws. Because as long as a state upholds one religious community over the rest and imposes that majority religion’s laws on all of its citizens, it can neither truly safeguard the rights of its minorities nor can it claim to be a democracy. Blasphemy lynching and forced conversions can only be curtailed by upholding human rights and ensuring that the civic law supersedes religious law. That, in turn, is only possible through secularization of the constitution. 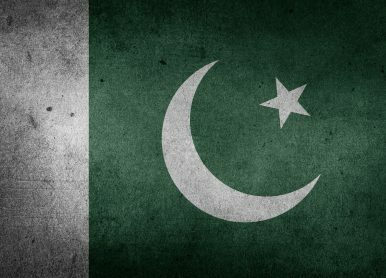 A Pakistani Minister Was Just Sacked for Anti-Hindu Bigotry. That’s Historic. The move hints that the state is willing to readdress its Islamist narrative.